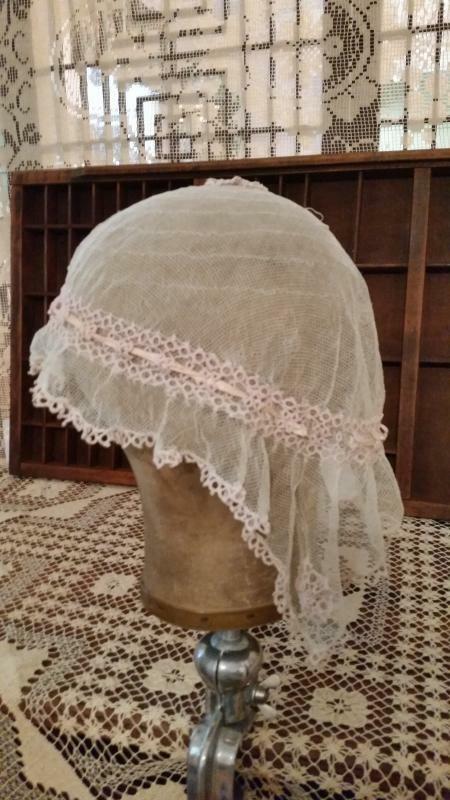 Antique French netting and tatted lace bonnet, boudoir, mob or night cap. 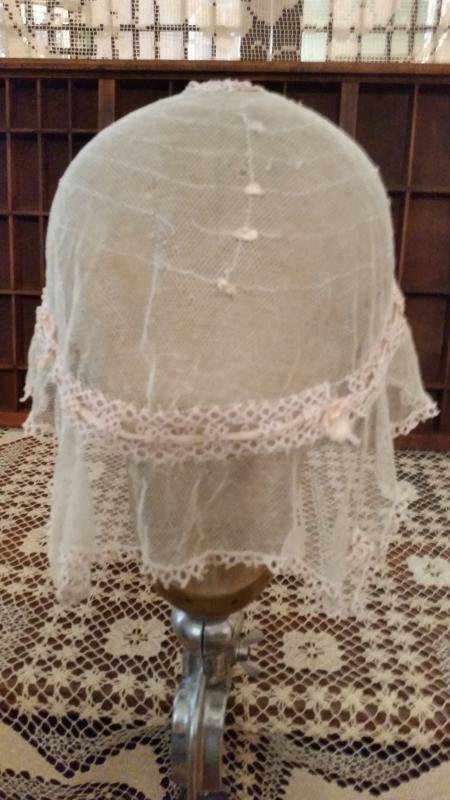 The cap itself is made out of an off-white netting. 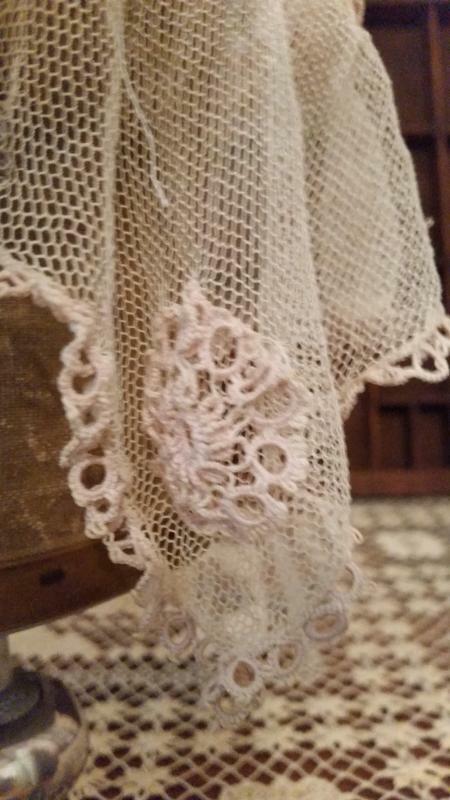 It has a band of pale pink tatting around it, with thin pale pink satin ribbon laced in and out of the band. 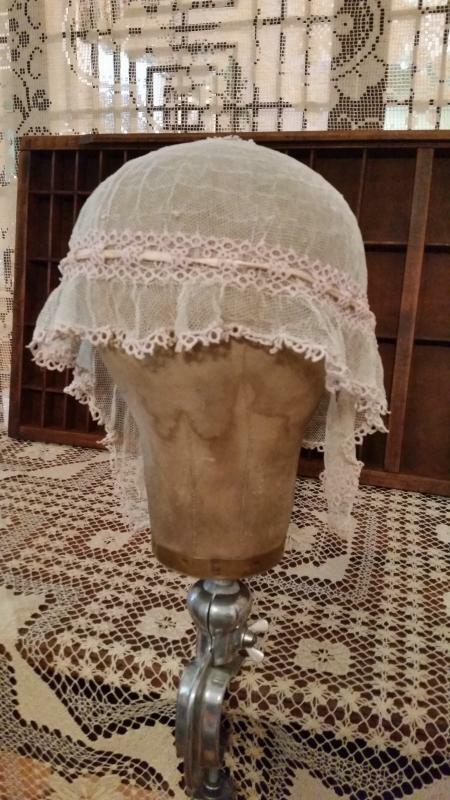 These caps were also used as headpieces for weddings in the 1920's. 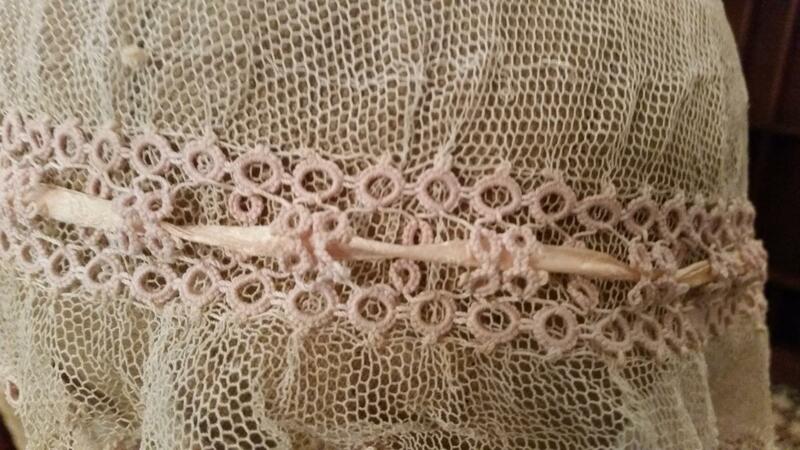 Each side at the back is longer. 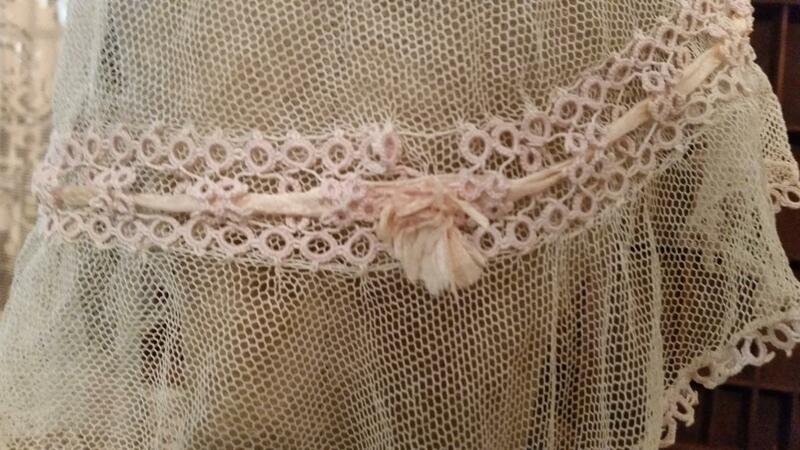 A pale pink tatted rosette is on each side and on the crown of the cap. 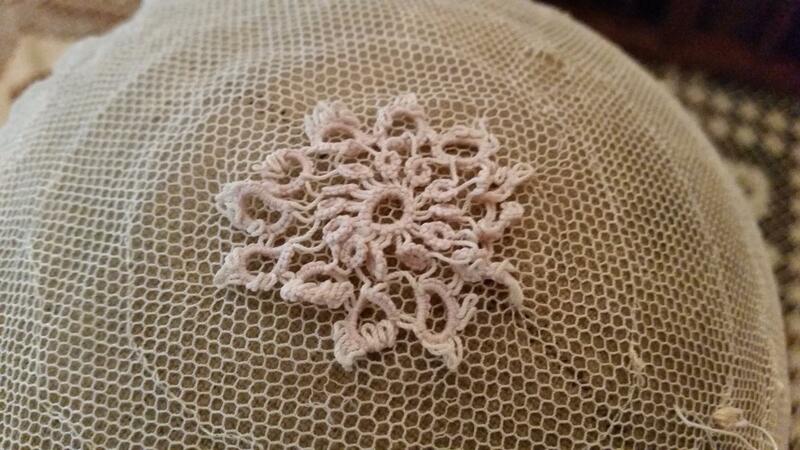 This cap is in very good condition considering its age, with only a few small snags in the netting. 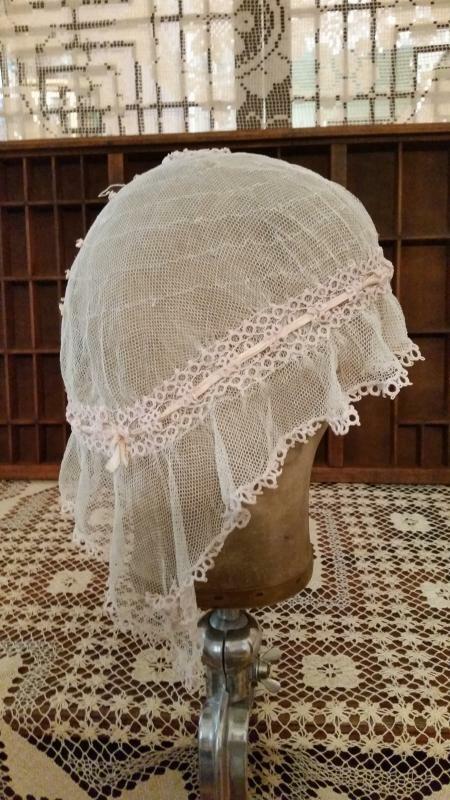 Items Similar To "Antique French Netting and Tatted Lace Bonnet, Boudoir, Mob or Ni..."